Justin Arenhold has recently joined the Eden Island team as Business Development Manager and will be heading up the Eden Island Rentals Division. He began his hospitality career in South Africa and has worked in General Management positions at some of the leading hotels in South Africa. Justin has had previous operating experience in the Seychelles and spent an exciting two year period as the Island Manager and Resort General Manager at North Island. 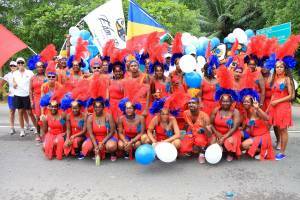 The Eden Island team put in a huge amount of effort and hard work with its preparations for this year’s float procession where the company again entered a float. Blessed by a break in the inclement weather on the day, the float procession weaved its way through the streets of Victoria to great excitement, joined by many others from all four corners of the globe. Eden Island was part of the Seychelles Tourism Board (STB) stand at the REISEN HAMBURG Fair in February. STB put a very good stand together which was managed by Edith Hunzinger, Regional Manager for Germany, Switzerland and Austria. Edith is unbelievably positive and passionate about what she does and about Seychelles. This was very good exposure to the German market as many people were not even aware of Eden Island or the natural beauty of Seychelles. At a time of global economic uncertainty, Eden Island is bucking the trend and showing returns on investment which are way above the average. For Eden Island Development Company, the start to 2014 is proving to be a time to remember, with record sales in the month of January of over US $12m followed by an even better March where over US $15.5m of sales were concluded. Total sales to the end of April already exceed $31m. 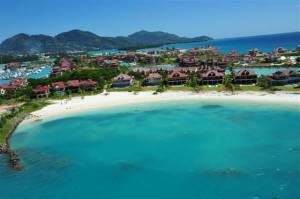 Eden Island’s impact on the Seychelles economy continues to grow. The influence of the longer term and therefore more sustainable elements of direct inflows to the economy is now being seen more and more. The increase in permanent new jobs created on Eden Island, already in excess of 700 and estimated to increase to 1,400 by 2016, is a prime example. Another is the increase in taxes and fees received by Seychelles Revenue Authorities from business activities on Eden Island. Residency fees, taxes on rentals, stamp duty and sanction fees on re-sales are now all playing a significant role. In 2013 these generated in excess of SR 100m and in 2014 it is forecast this figure will exceed SR 150m. The Carnaval International de Victoria has been nicknamed the Carnival of Carnivals by the 150 international journalists from 84 media houses and will soon prove why it is the biggest annual event in Seychelles. What makes this carnival unique is the fact that it brings the best international carnivals together to parade as one and includes cultural troupes from the Community of Nations. Carnivals from countries such as United Kingdom, Brazil, Trinidad and Tobago, Germany, Indonesia, Italy, South Africa, Madagascar, Mozambique, Zambia, Kenya, China, America, Sweden, India, Germany and South Korea will be joining the parade that starts in the Seychelles capital, Victoria. With white beaches and a crystal clear ocean, the Seychelles Islands are the perfect place to have your wedding and honeymoon. Just look at Prince William and Kate Middleton who had their honeymoon in Seychelles. 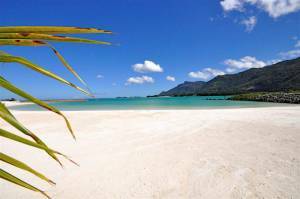 There are many venues and beaches to choose from when you plan your wedding and honeymoon. Just remember to have the right documentation ready when you decide on your paradise location. Eden Island is a residential marina located in the heart of the Seychelles Islands just off Mahè Island. Eden Island offers accessibility and privacy to those who wish to invest in luxury property. Each property comes with a private mooring and with 16 hectares of private waterways, every property on Eden Island has easy water access. There are three investment categories to choose from and they include Apartments, Maisons and Villas. These properties are also highly desirable accommodation for the holiday rental market. 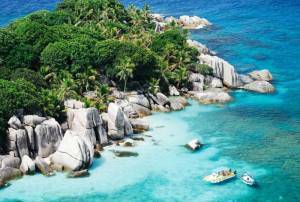 The Seychelles archipelago consists of 116 islands and has the smallest capital in the world, Victoria. The capital island can be walked in under a day. The country was first made independent from Britain in 1976 and became fully democratic in 1993. 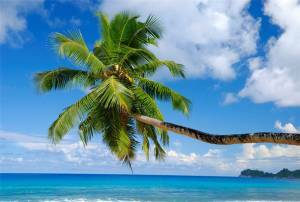 Seychelles is essentially a country of immigrants and there have only been settlements on the islands for the last 250 years.